I'm sorry but I have a poblem with the name of this colour. How many candies have you eaten in your lifetime have been white in colour? White is definitely the best colour for the GTI...that grille just jumps out at you. Awesome pics! freakin A i love white!! Mk5 GTI in Candy White. 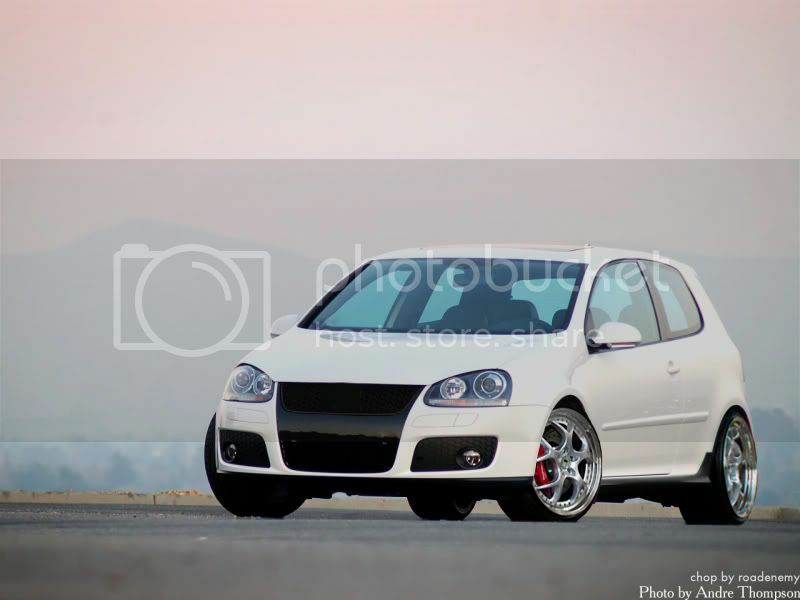 A smiley face to the first person to post pics of a white GTI with the Caractere kit. I agree. The contrast of the grille against the white is what makes the white so awesome. I say leave it black man! The blue lights are result of photoshop I think, not any aftermarket bulb.